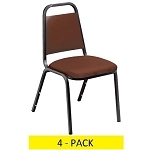 Stacking Chairs - BT-515-1-GG Fabric Stackable Chairs - 40 Pack. 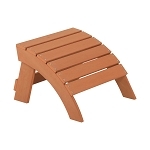 Free shipping to the lower 48 United States for Flash Furniture stacking chairs. 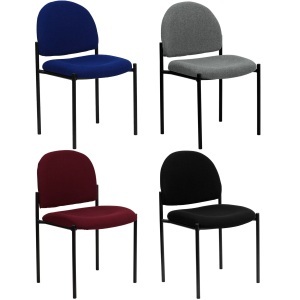 Set up a reception area, waiting room, or conference room in style with these stack chairs from Flash Furniture. 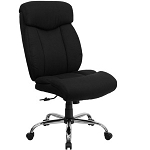 The BT-515-1-GG features a steel frame and a 2.5 inch padded fabric seating. Select from 4 different colors for these stacking chairs. 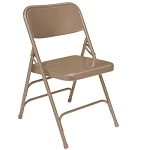 Order your stackable chairs here. Seat and back material: fabric. Some assembly required for these chairs. Choose from four color options: Navy, Gray, Burgundy, Black. Seat Size: 19 inches W x 18.5 inches D.
Back Size: 18.5 inches W x 14.25 inches H.
Seat Height: 19 inches H.
Overall Width: 20.75 inches W.
Overall Depth: 23.5 inches D.
Overall Height: 33.25 inches H.
Q: Can you get 20 of one color and 20 of another color? A: Yes, as long as it is a total of 40. Fast Shipping: Orders for the Flash Furniture BT-515-1-GG generally leave the warehouse within 2-4 business days. Delivery Details: This product ships directly from the warehouse in Canton, GA. This item generally ships via a curbside delivery through an LTL carrier (too big for UPS and FedEx). The customer must be present to sign for the order. The freight carrier is instructed to contact you prior to delivery to set up a delivery appointment. Dimensions: 64" x 40" x 40"